Recent expeditions to the Chagos Archipelago, as part of the Bertarelli Programme in Marine Science, resulted in some positive results but a recent paper released by researchers Gareth Williams, Ronan Roche and CCT trustee John Turner has some disturbing findings. 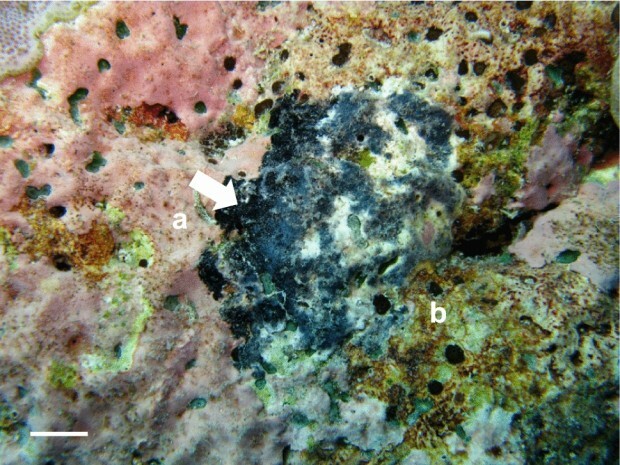 The researchers have recorded the first ever sighting of coralline fungal disease (CFD) in the Indian Ocean. This fungus affects crustose coralline algae (CCA), which plays a key role in rebuilding coral reefs.